This is a very simple overview of a layout wired as DC. Locomotives on a layout that is wired for DC operation must be compatible with DC power. The lowest cost locomotives operate on DC power. 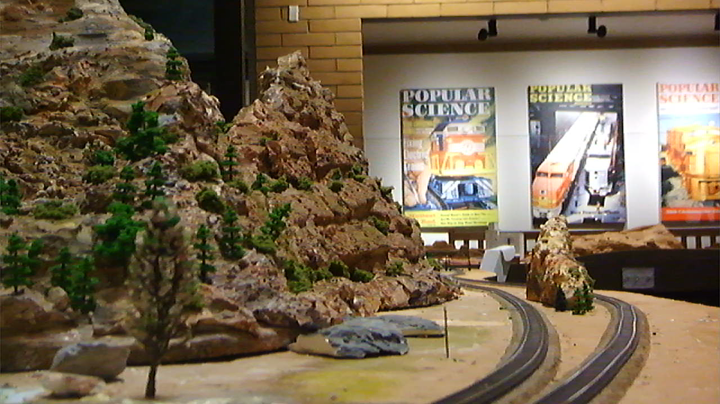 The Sun-N-Sand club layout provides several tracks that are compatible with DC locomotives. Many of the tracks may also be configured as DCC when needed. DC refers to the power supplied to the track. DC stands for Direct Current. The higher the voltage on the track, the faster the locomotive will travel. One of the rails has a positive polarity (relative to the power supply) and the other rail has a negative polarity (relative to the power supply). If the track polarity is reversed, then the motor in the locomative will turn in the opposite direction. 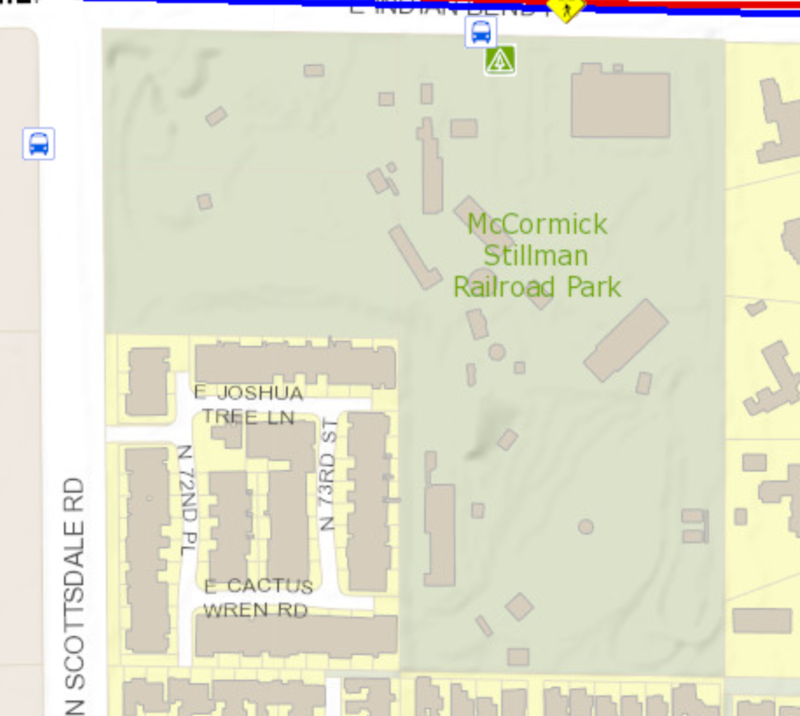 If the train was moving forward, and polarity is reversed, then the trail will move backward. The power supplied to the rails must not loop back on itself or it would cause a short circuit. If the track layout includes a reversing loop which would cause the locomotive to travel the opposite direction on the track, then "electrical blocks" must be included in the track layout. As the train traverses the reversing loop, the power in the other blocks is "reversed" so the train will continue to move forward as it leaves the the reversing loop. Most layouts do not include reversing loops to make the layout wiring more simple. However, the layout may still be wired with electrical blocks to allow for the operation of multiple trains. The various blocks would be controled by one controller (power supply) at a time. 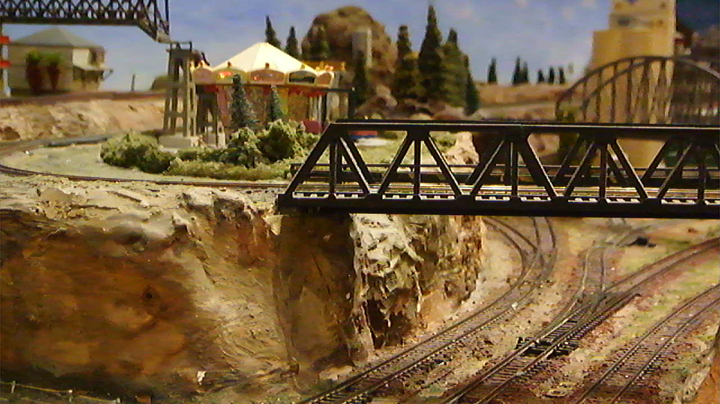 Finally, a layout may be wired with multiple supply points to even out the power available to the locomotive as it traverses different areas of the layout.